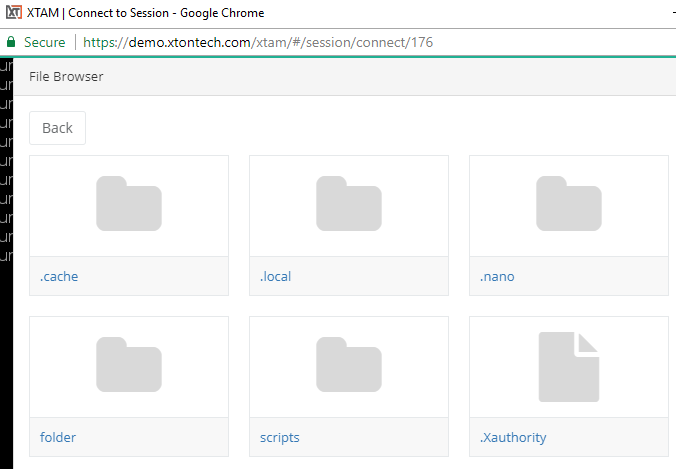 XTAM provides the ability to copy clipboard text and files between your local computer and remote sessions without needing to use FTP or other file transfer software. This also supports the transfer between Windows and Unix/Linux sessions and local computers. Quick File Transfer Using Drag and Drop is now supported. Learn more here. 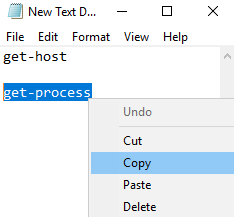 Select text from your local computer and Copy it to your clipboard. In your Remote Session, hover your mouse pointer in the top 30 pixels of the remote session screen for at least one second. When the dropdown menu appears, click the Clipboard option. 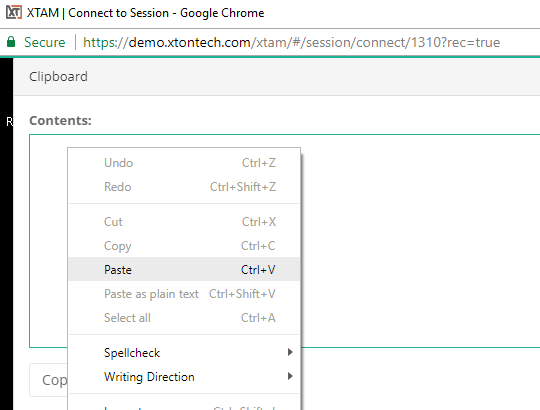 In the Clipboard field, right click and choose Paste or type text as needed. When you are ready to transfer the text to your Remote Session, click the Copy button. Back in your Remote Session, paste the text to complete the Clipboard transfer. To disable the ability to browse or transfer files during an in-browser session, click here for more information. When the dropdown menu appears, click the File Browser option. 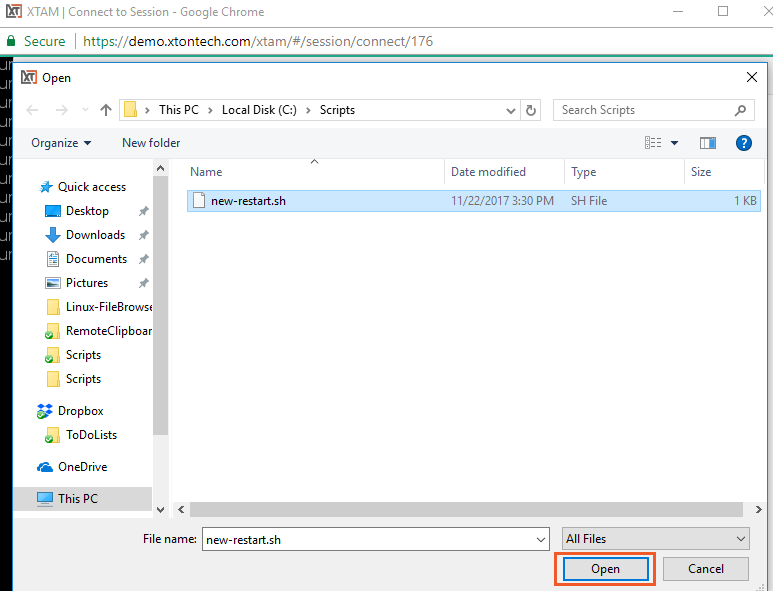 Navigate to the target folder location where you wish to upload the file to on your Remote Host by clicking on each Folder. Next, click the Upload button along the bottom of the dropdown menu. When the File Selection dialog appears, locate and select your file. Click Open when ready. 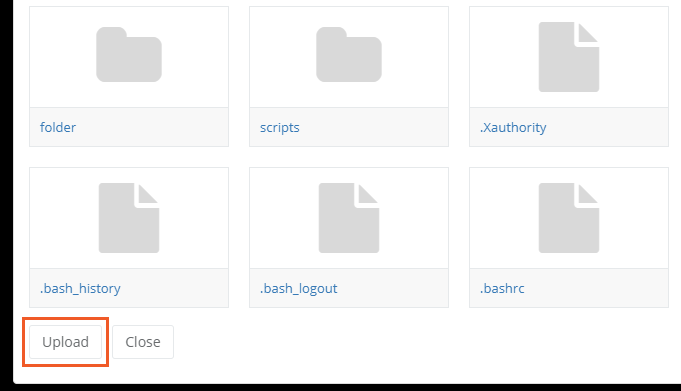 The selected local file will now be uploaded to the target folder on your remote host. To maintain proper line formatting, ASCII Mode is supported in cases where files are transferred from remote Unix session hosts to Windows computers. 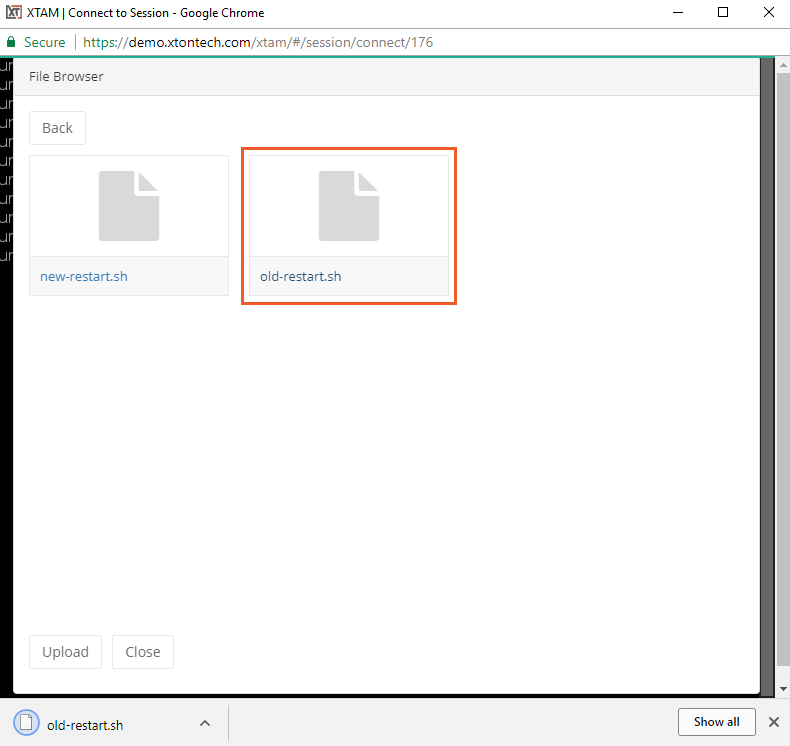 Locate the file you wish to copy from this Remote Host by navigating through its local folder structure by clicking on each file until the File is visible. Once the file is located, simply click on it to begin the download process. This file will be downloaded to your browser’s default Download location on your local computer. If you want to disable the ability to browse or transfer files during in-browser remote sessions, then please configure the option described below. Select the Disabled option from the dropdown menu. Click the Save button next to this option.